Hooray!!!! Yuna is once again an Ambassador for Samsung GALAXY Note II. 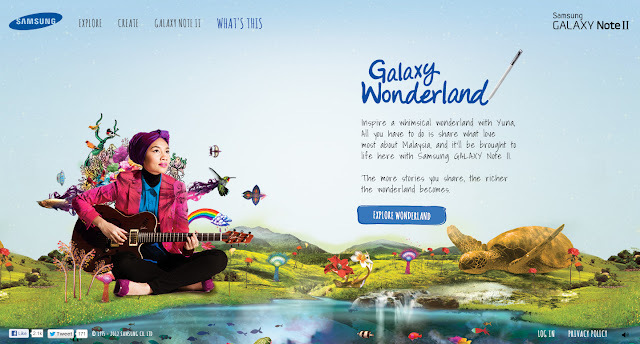 And this time, she will be bringing Malaysia to life via GALAXY Wonderland. 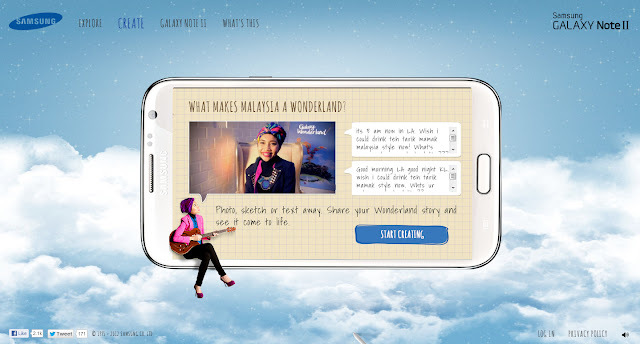 GALAXY Wonderland is a musical voyage which allow all of us to tell our stories about Malaysia. Dear Malaysia, you have no idea how I have these love-hate relationship with you. 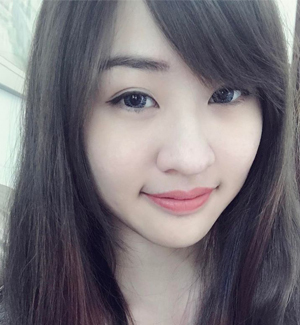 I am glad I was born and being brought up in Malaysia for 22 years. Nah, I exposed my age liao and I knew I am aging wtf. What do I love about Malaysia? Food of course, the Nasi Lemak, Satay and Laksa! Local drinks, Teh O Ice and Milo Dinosaur! Write/Draw/Attach photo or videos about your story and Submit your stories. Well, this is mine, you can submit as many entries as possible. Chiang Chiang, these are my stories to help Yuna on getting some inspirations for her music video. Well, I'm pretty sure the more stories you share, the more inspirations she will get. These inspirations will be featured in series on AstroRia.